27.11.2015. Belgium. 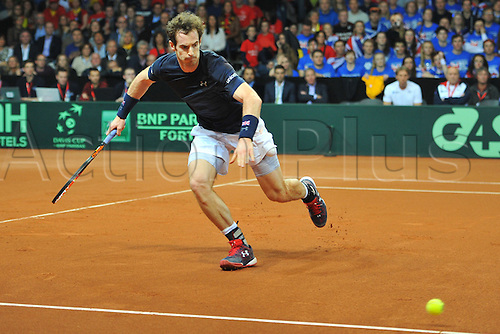 Davis Cup Final, Great Britain versus Belgium. Day 1 play. Andy Murray (GB) defeats Ruben Bemelmans by a score of 6-3 6-2 7-5 to level the tie at 1-1.